I have noticed how people with chubby cheeks actually look younger and fresher compared to those who have sunken cheeks. Let's add tips here that can help women get fuller and chubbier cheeks naturally without having to undergo any cosmetic procedures. Take a deep breath through your mouth and hold the air in your mouth as if you were about to play the trumpet. Try holding on to this pose for 30-60 seconds and then blow out the air gently. This is the simplest way to work your cheek muscles and jawline. Implants are available in different sizes and shapes which depend on your facial structure and will be determined by your examiner. These implants are typically placed intra-orally after the administration of anesthesia and you can fully recover after around 2 weeks. Gargling with sesame oil or honey can work for you and make your cheeks chubby. Just gargle twice a day, once in the morning and once at night and note results after 30 days. Apples are great when directly eaten as they include vitamins and nutrients beneficial for your skin. You can mash apple slices into a paste and then apply it to your cheeks. Leave it for about 15 to 20 minutes and then wash it off. Apples have elastin and collagen, both of which are essential for taut and fresh skin. Both glycerin and rose water can be mixed together in equal parts and applied to cheeks every night before sleeping. This mixture nourishes your skin and gives your cheeks a fresh lift, making them appear fuller. Supplements are usually dense with calories and are great for quick weight gain without eating much. Moreover, even if your regular eating habits are not helping your weight, supplements will cover any deficit and you will start to fill up all over. I used to drink one table spoon of olive oil everyday to get bigger cheeks. It is healthy and is great for building skin fat. Just drink one spoon everyday and results will be visible in about 15 days, after that you can continue till you want. 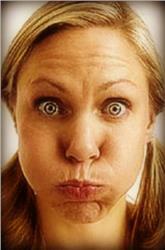 Facial yoga is basically exercising your facial muscles. It is believed that this exercise produces collagen and elastin, both of which make your skin firm and your face is consequently fuller. This technique is especially useful if you have sunken cheeks. If you have dinner at 8pm for instance, you should be in bed by 8:45pm and sleep early. Sleeping right after dinner promotes fat buildup in the body and ideally you should sleep around 9 - 10 hours. If you keep this up you will see results in 2 weeks. I tried this and it worked for me. Just drink two glasses of milk (full cream), once in the morning and once at night. Do this for 3 months and your face will fill up nicely. Carbohydrates are essential for meeting your body's energy requirements. If your diet lacks carbs your body starts burning up the fats under your skin, which can prevent your cheeks from getting full. In order to keep your cheeks lush you should focus on eating foods which are rich in carbs, like pasta, lasagna, rice, bread etc. Take a bowl and place three properly peeled slices of apple and three slices of carrot in it. Top the fruit wedges with half cup of freshly extracted lemon juice and drink it early in the morning to get chubbier cheeks. Gulp this mixture on daily basis. Smoking and drinking both harm your skin a lot. If you notice the skin of people who regularly smoke, it has low elasticity, which means it starts to sag and sink. Quit these habits and start using sunscreen to protect your skin against damage from sunlight. This one should be done before you shower or take a bath.... 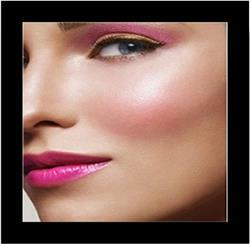 Apply butter sugar paste on your cheeks every single day without a miss! How do you make the butter sugar paste? Simply add some butter and a little bit of sugar in a mixing bowl – stir till it becomes smooth, if you’re a girl or a guy you must pin up your hair... no hair should be touching your face. Once you’ve made the mixture you need to put your fingertips inside the bowl and apply on your cheeks – DO NOT TOUCH YOUR EYE AREA OR YOUR EARS! Leave this for around 15 minutes before washing it off. You should try gaining some weight but don't resort to junk food for it. Try smoothies and carbs like pasta and bread. You can also use flax or olive oil for healthy weight gain. Soon you will start seeing a fuller face. A paste made using honey and papaya can actually help you develop a fat layer on your cheeks and make them look fuller. Just take a few slices of papaya, mash them and add a spoon of honey. Now mix both until a paste is formed. Rub this paste on your cheeks properly and let it stay for about 15 minutes before washing. Do this everyday to get chubby cheeks. his is magical stuff right here you can either choose to rub this into your cheeks as a form of gel or you can drink the Aloe Vera juice either one works but seen as I was personally already doing a lot of rubbing I decided to drink mine (both work). In all probability while you are surfing through the web and perhaps searching for more activity and approaches to get it you have go over commercials guarantee you arrangements of a great many email addresses for minimal expenditure buy email lists. On the other hand other ad for shared email records where you should simply impart your rundown to another advertiser to motivate them to impart their rundown to you. You can get these messaged straightforwardly into your inbox and some mass mail organizations likewise offer all of you of these email's and names in a CD sent right to your home. Sounds really enticing isn't that right? Some of the time enticement can outwit you and conflict with you. Well obviously, having a huge number of endorsers would be best thing that could ever happen to any one in Internet Marketer business. I'm certain you are at this time envisioning every one of the deals and wage you will get from each one of those supporters. With 100,000 the standard 10% transformation rate, that would be a normal of 10,000 deals. On the off chance that you had 10,000 deals every month you could profit! These offers regularly solid pipe dream and on most events, it is unrealistic! 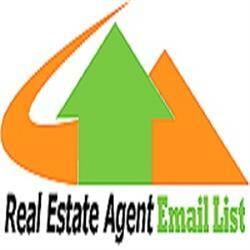 List of Real Estate Companies USA email database list with all mailing address. Real Estate email database contains company owner, Partner, Managers, Agents, Sales Manager , Executive officers, Staff, Support staff contact address with all the latest info. contact address etc.